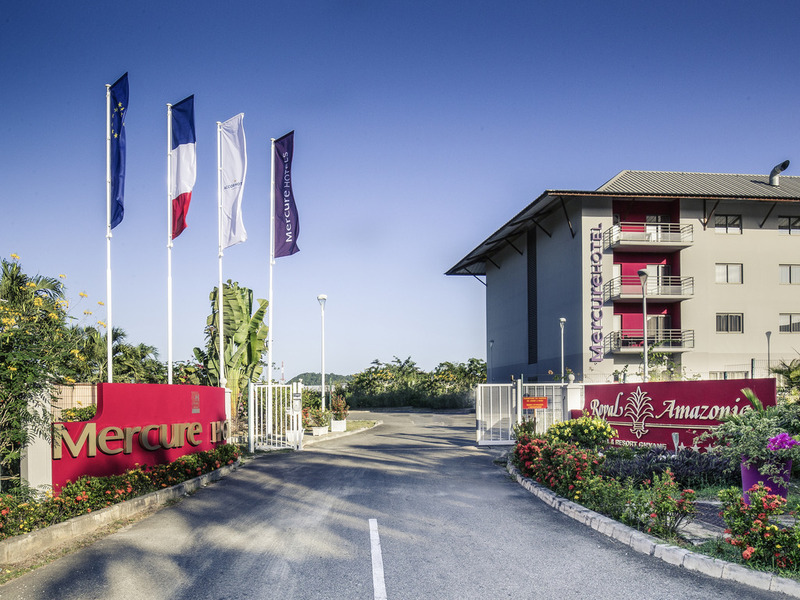 Located in French Guiana, the Mercure Cayenne Royal Amazonia hotel offers a host of amenities, including a bar lounge, two restaurants, a spa with hammam, hot tub and beauty therapist, a fitness room, a swimming pool and 8 meeting rooms for seminars and banquets. With 134 spacious rooms including 19 Superior Rooms and 18 Suites, the Royal Amazonia charms guests with its subtle blend of modern décor, high-quality equipment and refined atmosphere with oriental accents. A French and European region of South America covered by nearly 20 million acres (8 million hectares) of undisturbed forest, with large rivers and streams. Guyana boasts an exceptionally rich natural heritage that it strives to protect. Take a culinary trip to Japan in the cozy atmosphere of the Royal Sushi Bar. Your taste buds will appreciate the innovative recipes created by our sushi chef. A delicious blend of traditional French cuisine and Creole flavors in a cozy and warm atmosphere. Welcome to La Brasserie Gastronomique restaurant at the Royal Amazonia, a favorite spot for connoisseurs of gourmet cuisine. With its traditional carbet shelter at the edge of the pool, our bar is both refined and welcoming, whether for a professional meeting or a drink among friends. Enjoy a break in this open space where everything designed to help you enjoy the moment.